We’ve all known (and probably been part of) small, focused teams that seem to produce incredible results. Unless these teams hang on to their tight focus, though, even the most impressive typically hit a wall. The organizational pressure to do more too often outpaces the team’s ability to keep up. Content marketing success increases, but can it last? Don’t get us wrong – the B2C research reveals many encouraging findings. We saw a higher level of reported success with content marketing, the same level of commitment to content marketing, an increased focus on building an audience, and a higher value placed on creativity and craft in content creation, among other positive signs. For example, 78% of B2C marketers say they’re moderately to extremely successful (compared with 70% the previous year). At the same time, we noted a decrease in the total marketing budget spent on content marketing. For all responding marketers, spending decreased by four percentage points year over year (22% vs. 26%); however, the decrease was more notable year over year among the B2C top performers (26% vs. 38%). 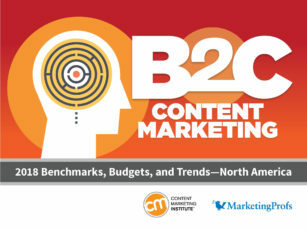 Total #contentmarketing spend decreased by 12% among B2C top performers via @cmicontent research. 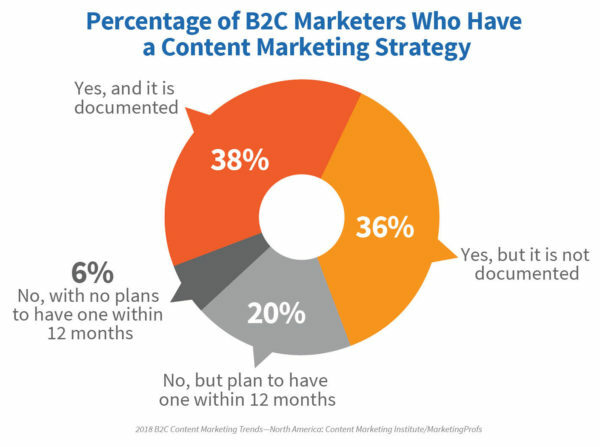 Of course, those results could mean B2C content marketing efforts truly are getting lean and mean – prioritizing the content activities that matter most for their organizations. In fact, 53% say they’re discontinuing content marketing activities found to be ineffective to concentrate on those that yield the best results. 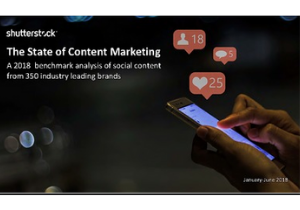 One finding, though, makes us question how long organizations can sustain their increased success while decreasing the budget devoted to it: the lack of a documented content marketing strategy. Only 38% of respondents have one (pretty close to last year’s 40%). We manage content and social media strategies for more than 10 brands with a two-person team. That is and will continue to be my greatest struggle. We could do more, but we are understaffed. 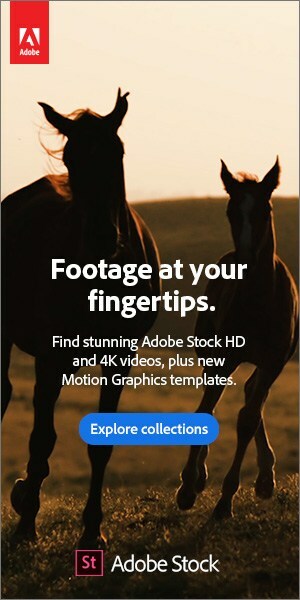 Two people handling content and social media strategy for 10-plus brands in a mid-sized (100 to 999 employee) company? Wow. And the respondent reports their efforts as very successful. I bet that two-person team would have a much harder time achieving success without a documented guide. That’s because writing down an agreed upon strategy helps teams like this one maintain a strict focus on only those initiatives that fit the strategy. It guides the decisions and trade-offs that have to be made. If one or two people can sufficiently handle the work created by the vision laid forth in the strategy, great. If not, and the organization wants to do more, then decisions will need to be made on how to invest in the resources necessary to grow. When you prove internally that content marketing works, others inside the organization may view the approach as the cure to what ails them – and want to piggyback on what you’re doing. While it’s a good sign when others want to join you, it’s often done without thinking through an integrated strategy and process. If you need yet another reason to get your strategy in writing, consider this: 75% of B2C marketers who say their organization is more successful this year compared with one year ago cite strategy as a reason (in fact, it’s the top reason). Another troubling finding this year: The percentage of B2C marketers who agree their organization has realistic expectations about what content marketing can achieve decreased to 55% from 69% last year. We’re not sure why the “realistic expectations” percentage decreased so much. It could be that as organizations see initial successes they expect to scale those efforts without first determining the strategy (as Kevin describes) and devoting adequate resources. Again, a written strategy helps set the appropriate expectations. Of course, content marketers supplement their in-house teams by outsourcing many tasks, primarily content creation, and a documented strategy is essential to have everyone operating from the same page. 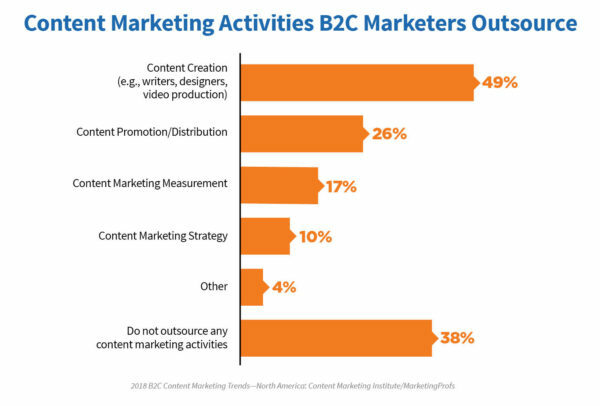 As a side note, our B2C research didn’t indicate that companies outsourcing content marketing functions are any more successful than those that do not. In fact, the top performers were a bit less likely to outsource than the total sample. Whether that indicates that your company would be better served by a cohesive, internal team is up to you to determine based on your unique business circumstances. Top #contentmarketing performers are a bit less likely to outsource, says @CMIContent research. B2C marketers who want to do more with their content marketing – and who could if they had more resources – may want to go back to the strategic drawing board and conduct a thoughtful cost benefit analysis. If that’s you, keep us posted on your results. To receive the latest CMI research as it’s published, subscribe to our free daily e-newsletter. The post Are B2C Content Marketing Teams Getting What They Need to Succeed? [New Research] appeared first on Content Marketing Institute.